Travel to the great state of Hawaii, stay at one of the fabulous Four Seasons Resorts located in this little piece of paradise and enjoy Exclusive Complimentary Perks when you book your stay across WhataHotel!, a Preferred Partner with Four Seasons. Hawaii is a group of islands that offers a wide variety of adventures and almost limitless luxury. Whatever your reason for travel here, disappointment will not be on the agenda. Majestic shorelines touch the beautiful waters of the Pacific while the islands interiors showcase mountainous landscape and breathtaking flora. The always impeccable Four Seasons presents four pristine resorts that promise guests an exceptional experience. All four locations offer truly magnificent accommodations, top-notch service and the ultimate in luxury. However, they all do also portray different characteristics that set them apart from one an other. Take some time to learn about what each location has to offer and chose the locale that is perfect for you and your travel companion. Four Seasons Hualalai, Kona is located in historic Ka'upulehu with a newly expanded spa, lovely beachfront dining, fashion boutiques and new suites. 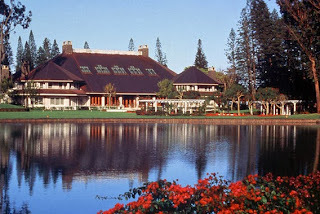 Let's not forget the Jack Nicklaus signature golf course. 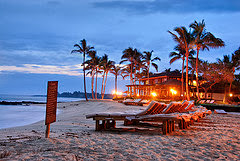 This pretty resort has been one of the most popular luxury resorts not only on The Big Island but also on Earth. People lucky enough to find themselves as guests here will enjoy a natural tropical paradise, Hawaiian design and decor and wonderful culture and tradition. 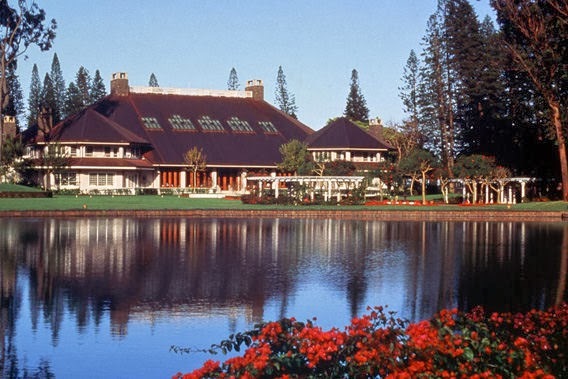 The romantic island of Lanai is blessed enough to have two stunning Four Seasons Resorts, Four Seasons Resort Lanai at Manele Bay and Four Seasons Resort Lanai, Lodge at Koele. Manele Bay is an oceanfront paradise that borders a marine preserve while Lodge at Koele is a gracious country manor that is almost hidden away. Both are exquisite resorts filled with stylish decor and comfortable surroundings, chose either of these locations and get ready to have the time of your life. 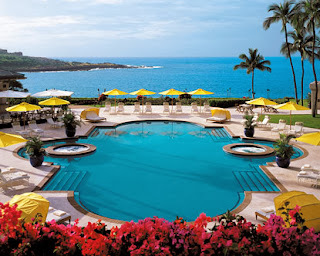 Four Seasons Maui at Wailea is in the ultra-chic city of Maui. This magnificent U-shaped resort presents guests with 380 spectacular rooms and suites, most with dazzling views of the Pacific. Every room utilizes contemporary luxury and Hawaiian sophistication. 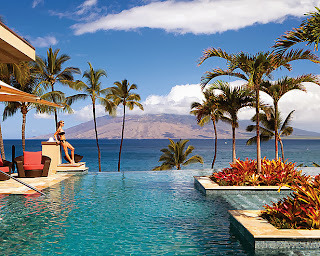 From the specially commissioned artwork to the modern technology, Maui at Wailea is a resort that is perfect for guests that are searching for adventure as well as a big city style. Plan your trip to the Hawaiian Islands and fall in love with all of its beauty, natural and man-made. Chose to stay in any of the glamorous Four Seasons Resorts found here and you are sure to enjoy endless quality and unprecedented service. Book your stay with WhataHotel and enjoy Exclusive Complimentary Perks that are combinable with impressive Special Offers for one of the best deals around.